Cape Town – The Financial Intelligence Centre (FIC) fined the Bank of Baroda R11m for its conduct when it helped the Guptas buy Optimum coal mine from Glencore in 2016, according to a report on Monday. The fine was levied after auditors Deloitte – appointed by the South African Reserve Bank (SARB) – conducted an investigation into transactions related to the R2.15bn acquisition of the mine by Tegeta in 2016, according to an exclusive report on Moneyweb. 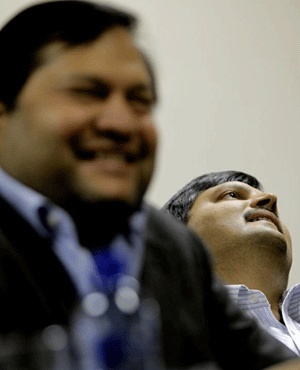 The auditors discovered that the Bank of Baroda disregarded anti-corruption and money laundering laws in its bid to assist the Guptas to buy the mine, the online publication, which is in possession of the Deloitte’s report, revealed. The investigation was reportedly launched following former Public Protector Thuli Madonsela’s State of Capture report. Deloitte CEO Lwazi Bam told Fin24 on Monday that it could not comment. “Due to Deloitte’s professional responsibilities and standards which include obligations with respect to client confidentiality, Deloitte is unable to provide any comment,” Bam said, referring Fin24 to the FIC and the Reserve Bank. The FIC referred Fin24 to the SARB for comment. “The South African Reserve Bank is the supervisory body for the banking industry regarding compliance with the requirements of the Financial Intelligence Centre Act, 2001 (Act 38 of 2001),” it said in an emailed response on Monday. Fin24 is awaiting comment from the Reserve Bank, and has also approached the Bank of Baroda for comment. In August 2016, the FIC listed 72 suspicious transactions worth R6.84bn linked to Gupta bank accounts which took place between December 2012 and June 2016. The FIC revelation formed part of former finance minister Pravin Gordhan’s court application against the Guptas, to prevent them from pressuring him to intervene in the banking matter. All these transactions took place from the Guptas previous bank accounts with Nedbank, Standard Bank, Absa, FNB and Investec – all of whom closed the accounts in early 2016. In March 2017, the Bank of Baroda informed the Guptas that it would close their accounts by August 31. VR Laser, which is linked to the Guptas, is taking the bank to court this week in an urgent application to prevent it from closing all its bank accounts. Last month, the Guptas announced the sale of ANN7 and The New Age to a firm founded and chaired by Mzwanele Manyi. It also announced the sale of Tegeta to United Arab Emirates businessman Amin Al Zarooni for R2.97bn. The bank closures and asset sales come as pressure mounts for a judicial inquiry into state capture. Madonsela requested President Jacob Zuma to launch one in her report, but he took the recommendation on legal review. However, Zuma has indicated he will launch a judicial inquiry, a call his deputy, Cyril Ramaphosa, has emphasised should start with haste. Parliament has since started its own inquiry into Eskom’s coal tenders, which are linked to the matter. In addition, Public Enterprises Minister Lynne Brown has started a Special Investigation Unit process regarding the allegations. Zuma will have to authorise the investigation before it officially begins.